Registrations will be processed as a first come frist serve basis and will be accepted as of January 1st, 2019 at Hayward Bait & Bottle Shoppe either in person or by mail. 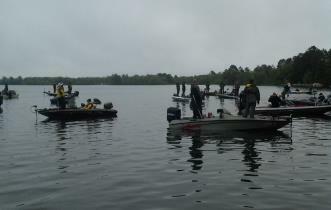 The Northwest Wisconsin Bass Circuit is a series of 5 Bass Tournament events limited to 19 boats. Each spring, lakes are selected by the board. Tournaments are $125 per team with 100% payback which includes the Big Bass Pot, although $25 will be withheld and added to the payout of the final event. Trophy's are provided by Hayward Bait & Bottle Shoppe for the first 5 anglers/teams at the end of the year. This should make for a very good final event payout. Ties split the winnings at that level. Partners and teams can be substituted at any time since each tournament is it's own event, but each partner must register and pay for at least 3 events of the first 4 events in order to qualify for the final. The number of places paid is based on the number of boats. (See Payout Schedule Below). Registrations are due the Friday prior to the tournament at Hayward Bait and Bottle Shoppe. If there are available space on the day of the tournament, registration can be made at the boat ramp on a first come first serve basis. Boat draw will be done on Friday's at Hayward Bait. Tournaments are from 8am to 4pm. The pre-tournament meeting will be held at 7:30 am. 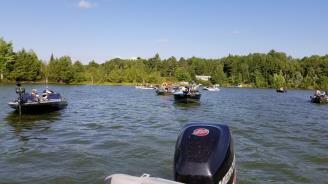 Please see a copy of the Northwest Wisconsin Bass Circuit Tournament Rules for additional details and information. Note: You must Register and Pay for at least 3 of the 4 first events in order to qualify for the Finale.